Tommy Vercetti.. Ok so we don't know him any further than 1986, but just for fun I gave him a little extra weight... And maybe a little less hair up top The faded shirt had to be done.. I mean come on.. He's had the shirt for 25 years (game time).. I made Ken Rosenburg very similar to when we last saw him in San Andreas based in 1992. Phil Cassidy looks like he did in GTA III which was based in 1998. I've even added Fernando Martinez working his magic as always.. I didn't really make him look too old because we don't really know what he looks like anyways, my only reference is the artwork from the Emotion 98.3 soundtrack cover. 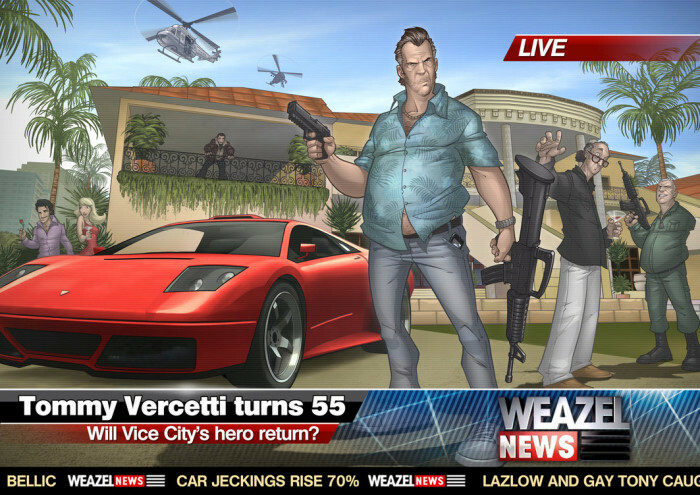 Lets just say he ages well..
Yeah you'll notice Niko Bellic in the background eye-balling that Infernus. When will the 'jeckings' end haha! 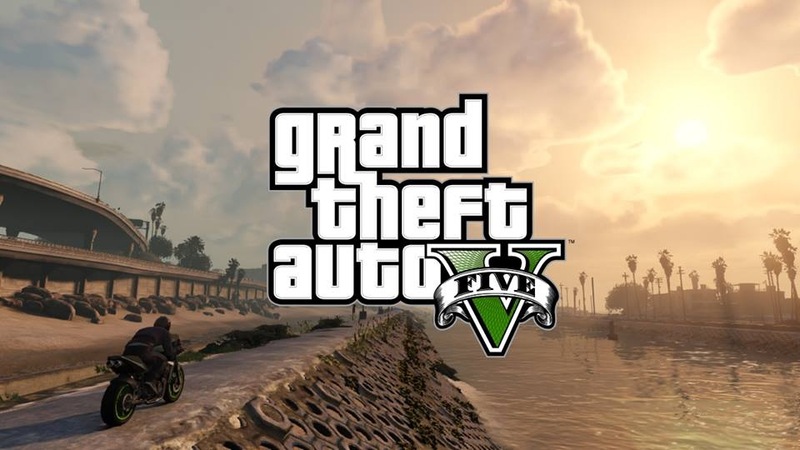 As you may have seen in our GTA5 Setting page, Vice City could be the location of the next Grand Theft Auto game. Is a new Vice City Patrick's top pick? Does he know something we don't? Only time will tell. Let us know what you think in the comments! Incredible artwork once again. Nice job Patrick. Patrick Brown's Vice City in 2011 - Artist Patrick Brown shows us what Vice City in modern times would look like incuding Tommy and his extra... baggage.